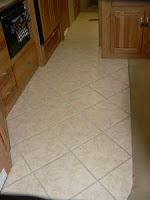 Clark, yes indeed, ceramic tile can be successfully set onto a motorhome floor. Proper preparation is the key. The surface must be leveled and all seams in the underlayment must be smooth with even transitions between them. Most every home builders supply center, such as Lowe’s or Home Depot, will have all the necessary preparation materials you’ll need. 5/8 or 3/4-inch plywood works very well as an underlayment. It seems motorhomes built on the larger chassis’ fair better with tile since the upper flooring is somewhat stiffer than those of a standard Class A design. 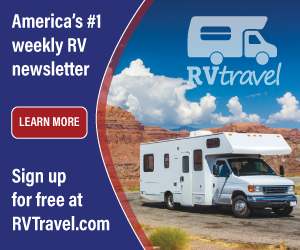 There have been some evidence of cracking in the grouted joints with some RVs which tend to flex more, but with the proper materials and workmanship, ceramic tiles add much to the individuality of your RV. Marginal weight restrictions may have to be considered on those RVs approaching their limit. You might have to do some math first.